COLOUR - the definitive guide is now available on DVD (to be viewed on your computer and/or iPad!) with a hard copy HTP COLOUR Guide! COLOUR - the definitive guide is now available on DVD with easy instructions to view on your computer and/or iPad! This book opens a world of possibilities in colour and takes the understanding and application of colour principles to new levels. 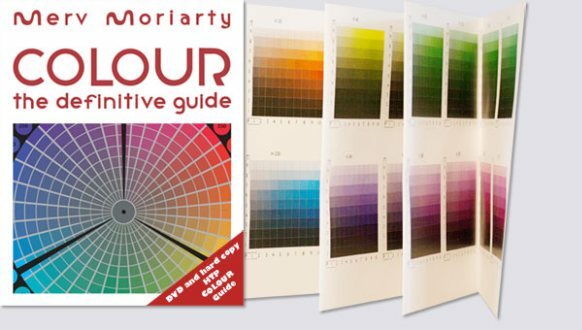 All books and the DVD/iPad version come with the Moriarty HTP COLOUR Guide - A foldout of thirty-six colour panels each representing ten degrees on the colour wheel (H) and each containing ninety colour chips showing variations of tone (T) and purity (P) = 3,240 chips. An invaluable tool for colour identification, matching and to establish right relationships of colour intervals as set out in COLOUR - the definitive guide. Available on DVD as a PDF, COLOUR - the definitive guide is now in a digital format that can be easily accessible on your computer or iPad! Click here to PURCHASE your copy of COLOUR - the definitive guide on DVD with hard copy HTP COLOUR Guide or read further down this page to find out more about COLOUR - the definitive guide as well as view the various tactile, completely HAND MADE editions of the book. 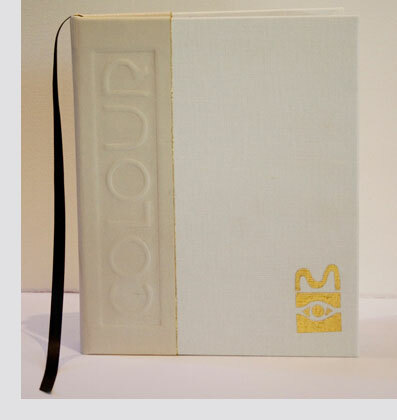 Click here to PURCHASE a HAND MADE hard copy edition of COLOUR - the definitive guide. Merv Moriarty’s influence on art in Australia has been profound. His vision in starting EASTAUS, flying art school in 1971 is legendary and his influence on many artists continues to this day. Moriarty, also a professional artist, has for over forty years combined philosophy with technical discipline and research to be one of the most highly respected art educators in the country. 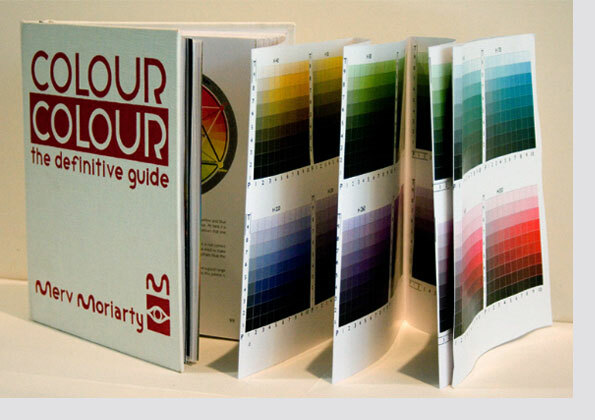 COLOUR - the definitive guide contains Moriarty’s new theory of colour relationship. Essential for anyone working with colour. Merv Moriarty provides everyone working in colour with the intellectual and practical tools and workshops to develop your skills in art, paint, draftsmanship and colour, with hand made, wire-bound and DVD books plus Moriarty COLOUR products available for purchase online. After the successful launch of his first book The Eye's Mind - the artist and the draftsman at the National Library of Australia, Canberra in June 2010, Merv could not wait to start work designing an updated printed version based on his original DVD “Colour Book”. 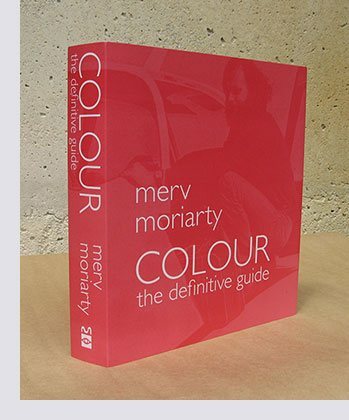 Many of you have been patiently waiting – and now Merv’s book on colour is out in print and also available on DVD! Titled: COLOUR - the definitive guide, is self-published from the studio where Merv has created a new business: printing, hand assembling and hand binding books, along with his first publication The Eye's Mind - the artist and the draftsman. Merv and Rose made the first run of books in two formats. A First Folio version, similar to the First Folio version of The Eye's Mind - the artist and the draftsman and another format similar to the standard edition of The Eye's Mind. However, the new book (on colour) is much larger, being approximately 380 printed pages, it contains a great deal more colour (of course) and some very special extras that will be of great value. Pre-ordering now will make this project possible and ensure you receive a valuable first edition copy. You may also consider donating a copy to your favourite Library, Museum or Art Gallery. Merv has written and illustrated this approximately 380-page document, covering colour from the artists and designers perspective, based on science and research in which you, his students, have played a major part. People who have done one of Merv's colour workshops will appreciate this: the two colour wheels used in the workshop to identify colours is now augmented with a fold out of eighteen colour panels each representing twenty degrees on the colour wheel and each containing ninety tiles showing variations of tone and purity for each hue. Totalling 1,620 tiles! These are used to define colours and intervals mathematically. They can also be used to mathematically transpose a successful colour scheme, of a particular dominant colour, to another part of the colour cylinder mathematically, making any number of colour ways possible with precisely the same interval structure. Special fold out pages reveal Merv’s original theories about colour as light, colour as pigment and his three-section colour wheel system. His other original theories covering interval and linkage and his work with thousands of students, proves that “right colour” is objective, not subjective. This book will open a world of possibilities in colour and take your work to new heights. How do we see colour? Thinking in light – mixing colours in pigment, using The Moriarty Three Section Colour Wheel and colour paths to accurately predict colour. Why are Nature’s colours “right” and beyond Personal taste? Is evaluating the beauty of a colour relationship objective or subjective? Using The Moriarty Colour Interval System to develop “right” colour ways for designers and artists. First Folio: As with The Eye's Mind - the artist and the draftsman we are offering a First Folio hand bound edition of 100 numbered and signed books. They have a leather spine, gold leaf and an original limited edition print by Merv Moriarty. They include the HTP COLOUR Guide. Priced at $450.00 plus postage. Standard Edition: The second format that we are offering of Colour - the definitive guide, has a silk screened canvas cover, is hand bound and signed, and also comes with the HTP COLOUR Guide. Priced at $330.00 plus postage. Studio Edition: We are now offering a third format of Colour - the definitive guide, which is the Studio Edition. Wire bound at the back, also includes the HTP COLOUR Guide. Priced at a very affordable $197.00 plus postage. Delivery of the Standard and Studio Editions is anticipated to be about 2 weeks. Please allow 8-12 weeks for delivery of the First Folio Edition. Colour - the definitive guide was launched at the National Library of Australia by Andrew Sayer AO Director Museum of Australia on the 6th of September, 2012. "So Merv’s subject is principally relationships. And it’s here that the book really sings – intervals, linkages, harmonies, complementarity, simultaneous contrast – this last he calls ‘the light maker’. If you read anything by Matisse – and Matisse is always rewarding to read on art – he talks everywhere about the capacity of paintings and drawings to generate light. I’m sure he would have seen eye to eye with Merv on many things. So - whether you use Colour; the definitive guide as a tool to understand your craft, to hone your perception, to understand why certain relationships work (and others don’t) or for its unique and personal insights into the deeper philosophical dimensions of the subject – you will be rewarded. "Sensitivity to colour is immensely satisfying – it's one of the things that enriches our lives in the world. But I think most of us are unsure about, or insecure about our responses. "Artists share this sense; it is only after a day of painting – trying to see and match tones and hues - that the artist starts to see the immense colour possibilities all around. "Colour - the definitive guide is a labour of love. It is a beautiful production and you can see and feel in it all the care that has been taken to get it right." Extract from speech by Andrew Sayer AO Director Museum of Australia, September 2012 Book Launch at National Library of Australia. The Eye's Mind - the artist and the draftsman was launched at the National Library of Australia by His Excellency Michael Bryce AM AE on the 22nd of June, 2010. 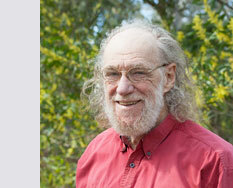 “Today Moriarty is recognized as an innovator in art education, having changed the way art is taught in Queensland. Around the country, ex students are achieving recognition, not just as artists but also in all areas of creative endeavour. Click here to purchase your copy of COLOUR - the definitive guide.